Prayer pillows are the perfect item to send when expressing love and encouragement. They carry personalized messages, favorite prayers or special photo images. These small pillows are appropriate for many occasions including a baptism or hospital stay. They are excellent reminders for your child's nighttime prayers or for remembering a soldier serving overseas. Custom prayer pillows are lightweight and easy to send. Each time a recipient uses one, he is reminded of your heartfelt wishes. Determine the prayer, scripture or photo image you want to use on the pillow front. Take the photo or printed prayer, scripture or saying to a print shop and have it make a photocopy in an appropriate size for the 16-by-16-inch pillow top. Lay your fabric on a clean, dry surface. Cut two 17-by-17-inch squares from the material. This allows enough fabric for a 16-by-16-inch pillow form and a 1-inch seam allowance. Use different fabrics for each piece if you want the pillow top and bottom to be different. Transfer your photocopy to the pillow top fabric using transfer medium, following the manufacturer's package instructions. Transfer medium is available at hobby and craft supply centers. Place the top and bottom pillow fabrics together, right sides facing, matching all edges. Pin three of the four sides of the pillow. 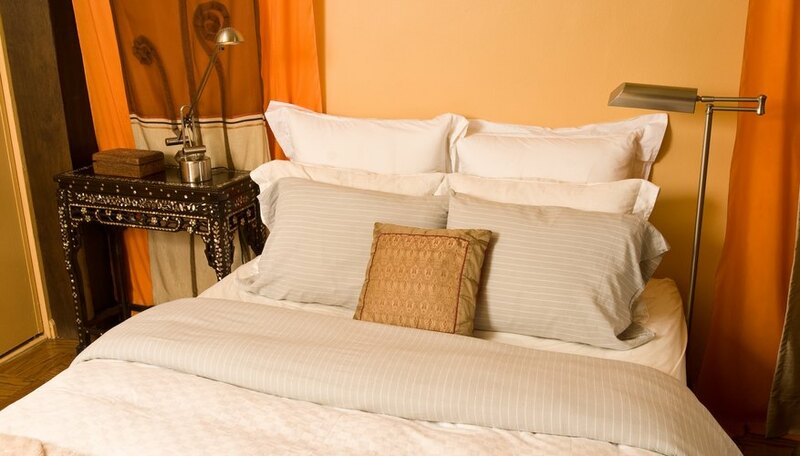 Machine stitch one inch from the edge around the pillow on the three pinned sides, ending the seam 1 inch short of the fourth unpinned edge to allow for a seam allowance for the fourth, open pillow edge. Turn the pillow right side out. Fold the edges of the open side of the pillow down toward the inside by 1 inch. Press all around the pillow, flattening the seams with an iron set on the appropriate heat setting for the type of pillow fabric. Iron a strip of heat-activated, iron-on adhesive along each of the folded-over top, inside edges of the unsewn side of the pillow, following the manufacturer's package instructions. These strips let the pillow open and close as desired, allowing removal of the polyester form for washing. Place the polyester pillow form in the pillow casing and press the adhesive strips together to close the pillow opening. "Right sides" is a sewing term that refers to the side of the fabric that will show, or be exposed, on the finished item.